Sgt. 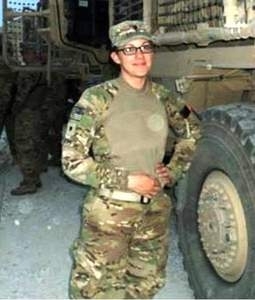 Caryn Reynal Nouv was laid to rest on Thursday, August 8, 2013 in Albert G. Horton, Jr. Veterans Memorial Cemetery after being killed in action in Afghanistan on Saturday July 27, 2013. 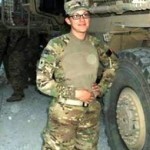 She was assigned to the 10th Transportation Battalion, 7th Sustainment Brigade, Joint Base Langley-Eustis, VA. and was a soldier since February 2009. Caryn was born in Hershey, PA in August 1983 and was adopted in June 1989 by her surviving and loving parents, Richard and Judy Reynal of Yorktown, VA. She was 2002 graduate of Tabb High School where she was in the marching band and flag Corp.
She is survived by her husband Vonny Nouv and her precious children, Eniale and Derrick Matheny. Memorial donation may be made in her honor to The Children’s Ministry of Bethel Baptist Church, 1004 Yorktown Rd, Yorktown, VA. 23692 or to the Calvary Classical School, 403 Whealton Road, Hampton, VA. 23666. Arrangements by Amory Funeral Home.